Jain Residence - Inside out or Outside in? 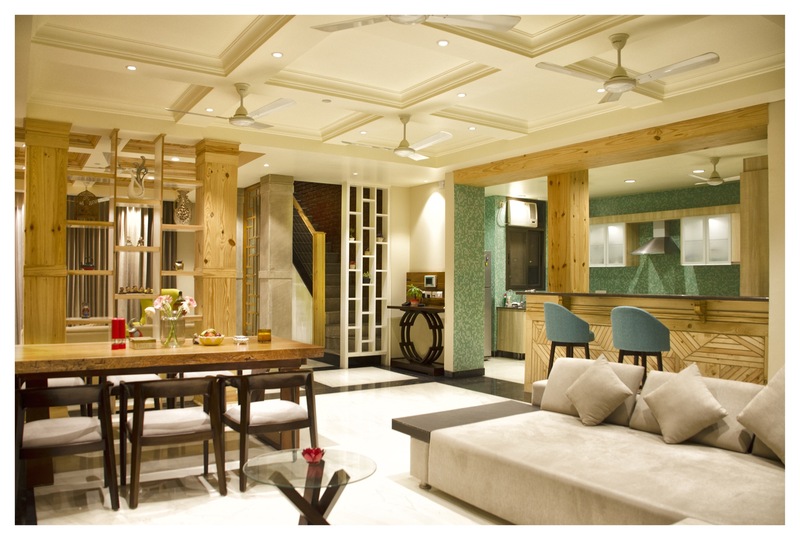 - NOIDA, Uttar Pradesh, Design by Meta - ArchitectureLive! The original 1987 house was constructed as a series of rooms and corridors and was insufficient in its spaces for the client’s requirements. The proposed design followed with uniting the series of rooms into an expanse of seamless space with movement and dynamism. The renovation also involved a completely new architectural façade and complete structural retrofitting work, which created a new rhythm of space, light, texture and materiality in the design. The warm earthy tones of the terracotta brick are offset with the plain textures of glass and textured paint, creating a myriad array of textures, which come together in a balanced form. 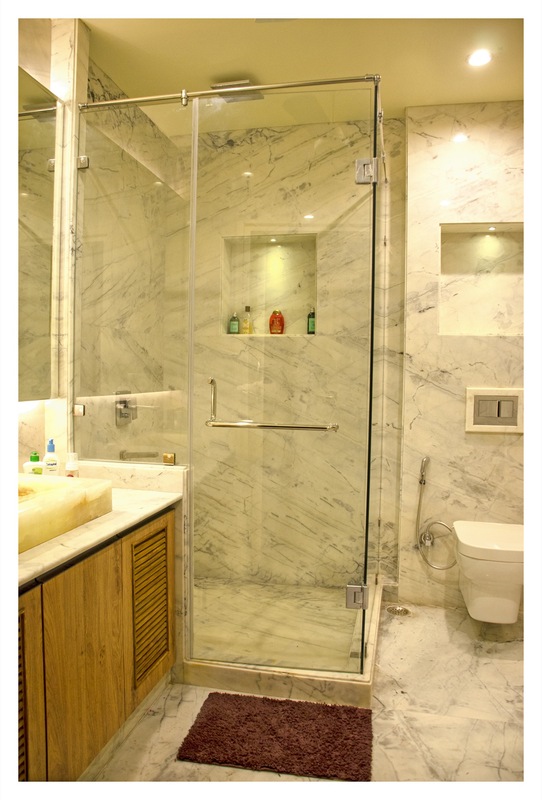 The Client’s brief was to create a feeling of a “home” in the design of the project. 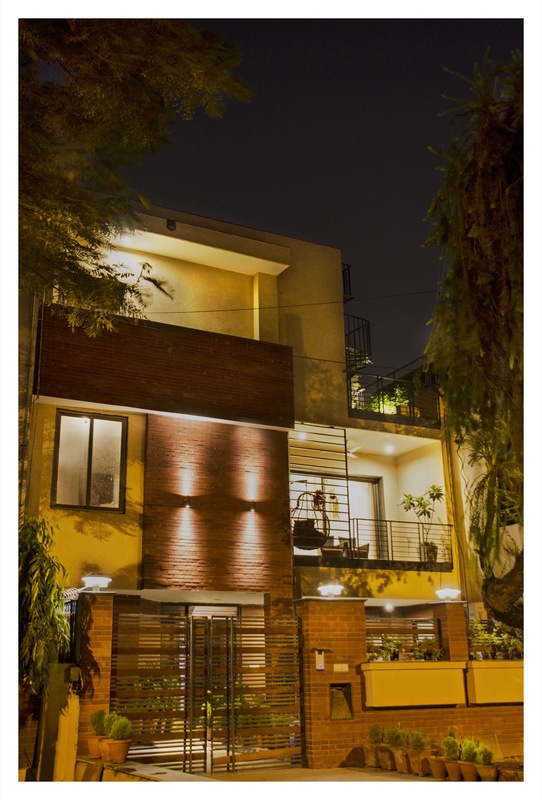 The house was envisioned to invoke a strong feeling of Indian contemporary design with an element of surprise and warmth in the architecture of the spaces. With this aspect in mind the design of the spaces and materials have been chosen to create an association of textures, which correspond, to a home. The design of the first floor space accommodates the living/ dining and kitchen with a guest bedroom and a small powder room. The space planning allows for a vertical connect with the horizon, where the core center of the house is vertically connected skywards with a double height volume and a skylight. This allows for natural light to meander its way into the central space of the house, acting like a traditional form of a central court in a modern context. The design of the second floor space accommodates the private and contemplative zones of the house. 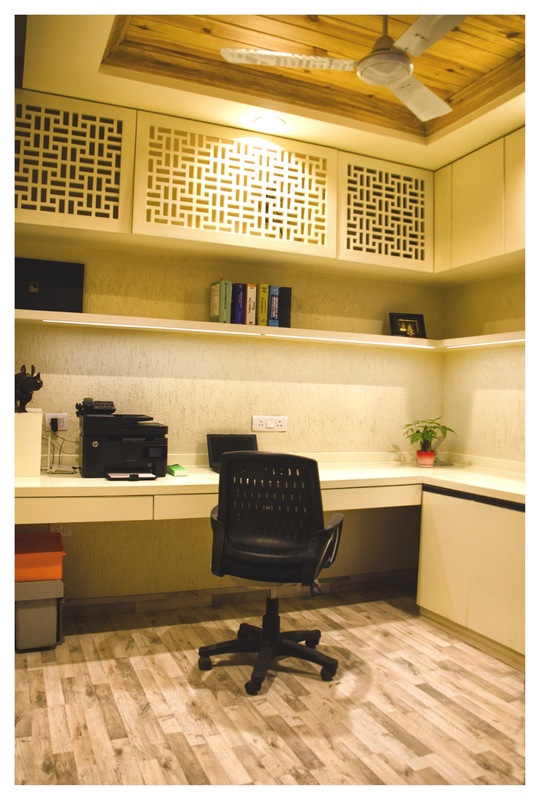 The spaces of contemplation and study like the office space and the dressing area and puja spaces have “Jaali” screens, which separate these zones. This maintains the continuity of space yet gives us a feeling of enclosure. The Jaali uses geometric forms, which are inspired by Asian patterns in a contemporary form. 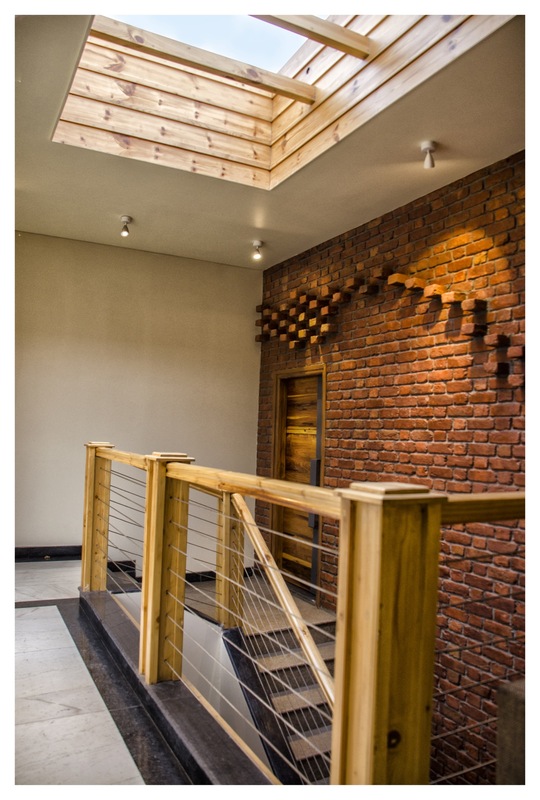 The Brick art wall along the staircase connects the first floor to the second floor levels, forming a play of shadow and light, with the pattern of projected bricks. The unique elements in the design give the residence character and warmth, making them special to the house. The facade has openings which allow plenty of natural light and cooling from the east and west orientation. 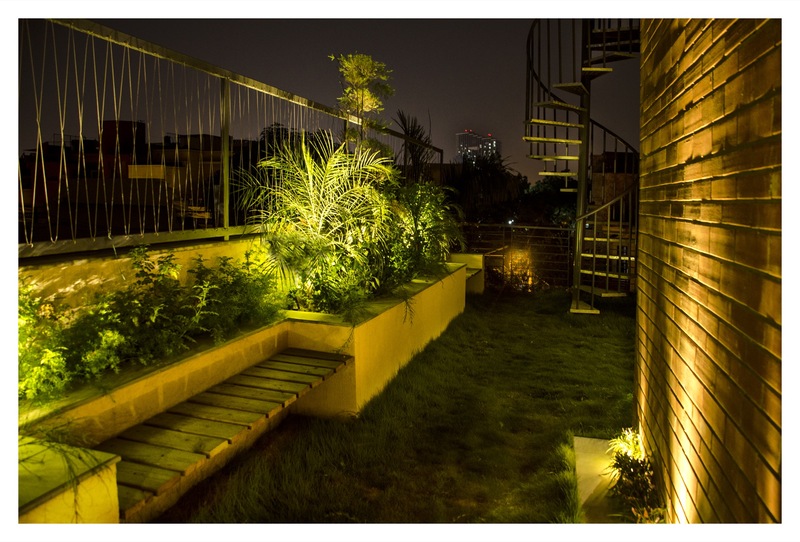 The South and west ends are cooled with the help of a terraced garden which creates a micro-climate. The cantilevered forms shade the house on the western front facade to allow maximum light, yet protecting the house from harsh glare and heat. The facade has also undergone a re-design, creating a new aesthetic of brick and textured paint as the material palette. The client’s additional requirement of space and an integration of the first floor and second floor spaces formed the main criteria of design without disturbing the ground floor space which was reserved for the parents home. Their requirement of a large open space connected with ample natural light and ventilation and open terrace areas with adequate spaces for storage and privacy as well. 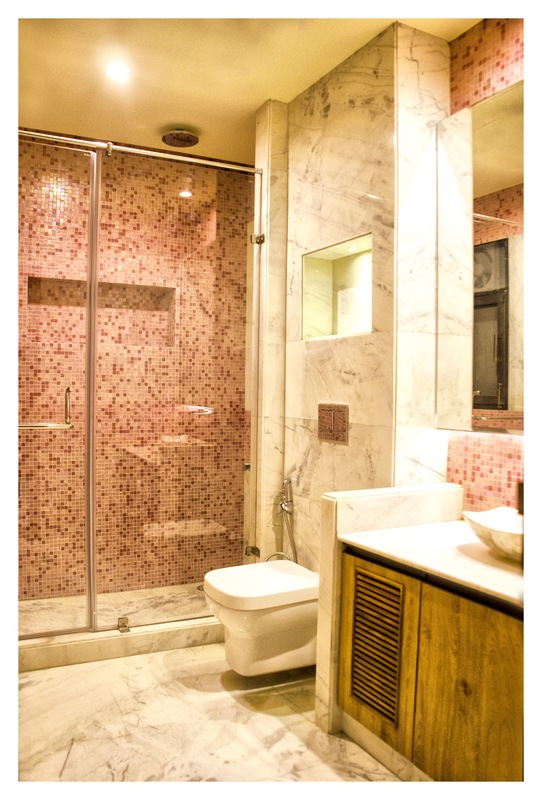 The idea of the client was to create a “homely” feel with warm textures and character. 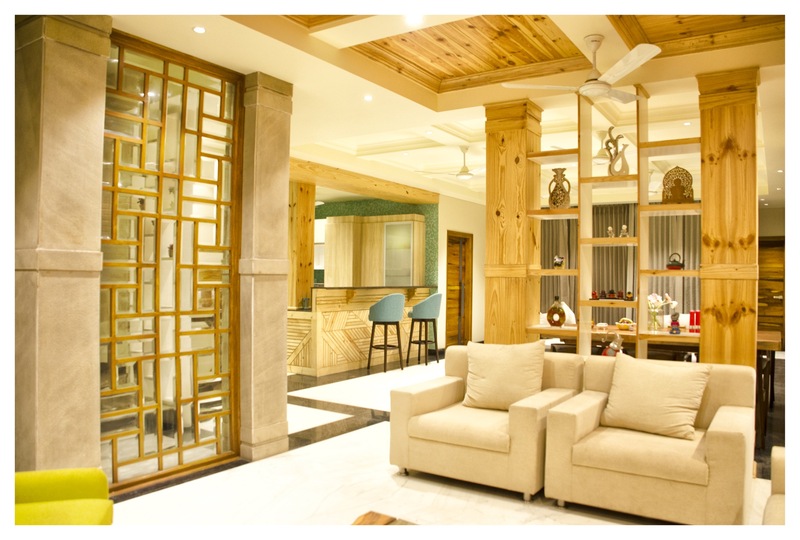 The design of the house amalgamated the scattered rooms and corridors into an open plan creating a large area for the living room, dining room, family room and kitchen, divided for privacy using partition systems and furniture. The division of the two floors was integrated with a double height volume and a skylight, which created a link with the two floors and a link to the horizon above. Passive cooling and ventilation have been allowed for, with a layer of greenery, which creates a barrier for the ventilation entering the house, allowing for cool clean air to circulate. The terrace garden on the second floor, creates a cooling effect for the lounge and bedroom spaces, forming a perfect sit out area and cooling the ambient temperature to 5 to 10 degrees cooler than the normal temperature outside.